The Rebel Sweetheart. 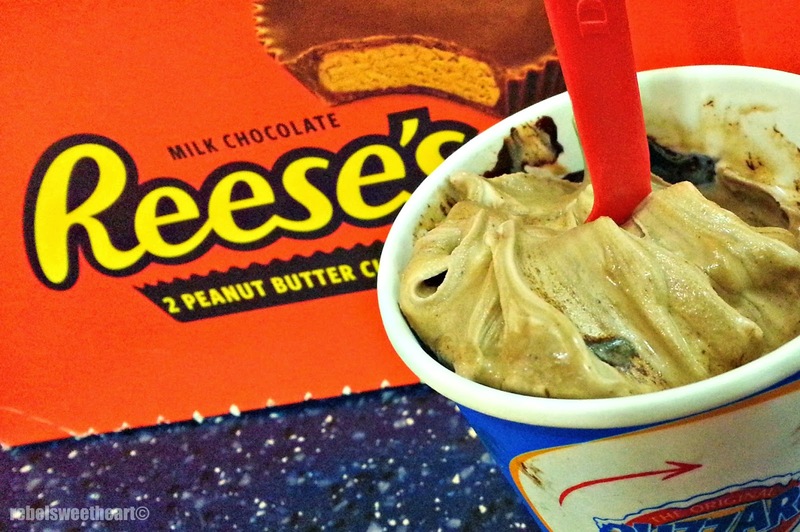 : Foodie Goodie | Reese's Peanut Butter Cups Blizzard. 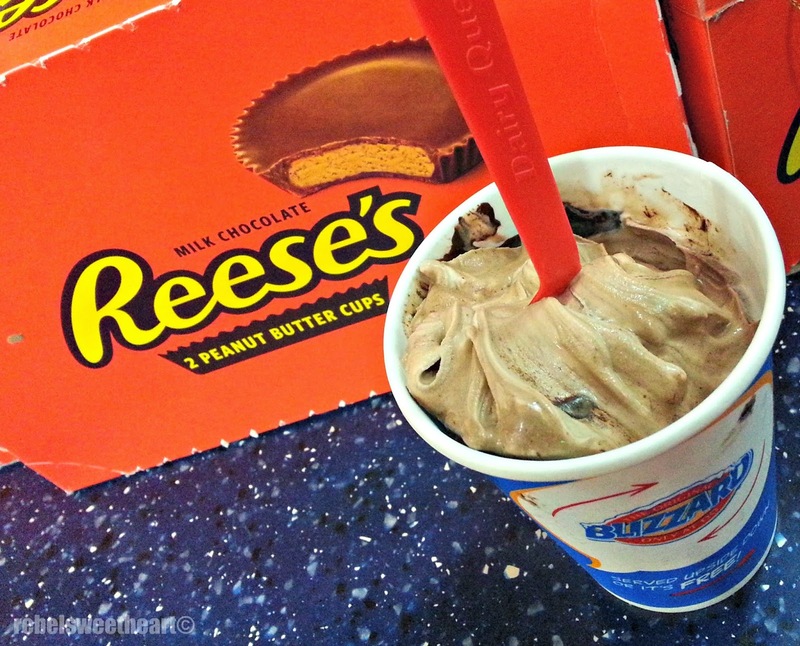 Foodie Goodie | Reese's Peanut Butter Cups Blizzard. Upon learning that Reese's Peanut Butter Cups is Dairy Queen's Blizzard of the month, I made a mental note to give this flavor a try the next time I pass by Dairy Queen. The opportunity came yesterday, as my friends and I were in Manila to do some Christmas shopping. We were at the 168 Mall, which has not one, but two Dairy Queen stores. 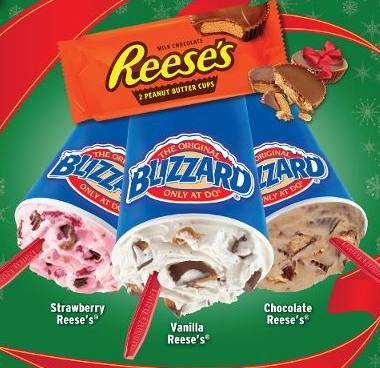 Reese's PBC Blizzard comes in three flavors - Chocolate, Vanilla, and Strawberry, and four different sizes - Mini (Php 59), Regular (Php 69), Medium (Php 79), and Large (Php 109). I love Blizzards at DQ! Reese's are my all time favorite candy, too! YUM! I was so addicted to Reese's as a little kid! Now I prefer other peanut butter cups that are less sugary, and are made with dark chocolate. I do treat myself to a Blizzard occasionally, though! I think I would enjoy the Vanilla Reese's Blizzard most, even though I love chocolate a lot ;). This looks yummy. I haven't had a blizzard in a few weeks. My favorite it cookie dough. I love these reese's pieces with a passion, mixed with ice cream makes it so much better! This looks yummy. The three flavors in four different sizes of cups is really a good option to chose from. I am going to try all these flavors. I so wish we had a Dairy Queen here. Thanks for sharing. i kind of wish i hadn't seen this, but glad at the same time. this looks amazing. i love DQ1 may just have to get this tonight.